This entry was posted on May 11, 2010 at 5:55 AM	and is filed under Ingredients, Side Dishes, Vegetarian. Tagged: butter, cooking, food, kahlua, nut, pecan, sugar. You can follow any responses to this entry through the RSS 2.0 feed. You can leave a response, or trackback from your own site. Looks delicious-but do you hate cleaning the pan after that as much as I? That’s why I use a non-stick pan! 😆 Thanks, Doc! Oh, yum. 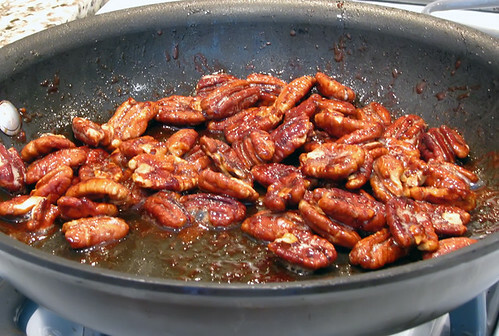 Candied nuts. One of my favorite treats from the county fair. So pour a couple buckets of budda over me and light me up! I’ll go out in a huge blaze of gluttony! Penelope Thanks! Really! I think so! Fabulous! 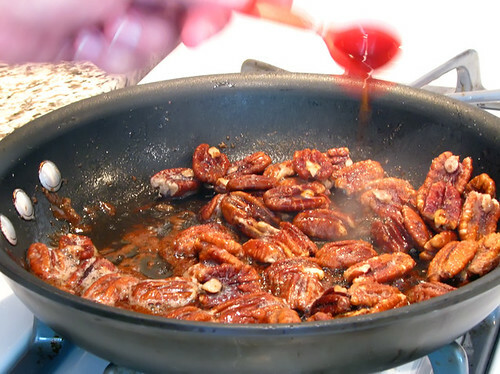 I’ve made candied nuts, but never used a liqueur! Kahlua is brilliant. TY, L2! I just saw the bottle sitting there and inspiration struck!! Executed perfectly and I like the Kahlua. 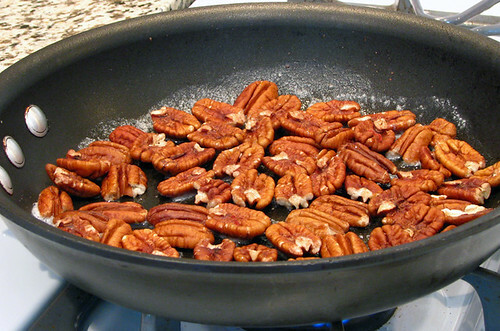 Unfortunately, I’m allergic to pecans (pea-cans) and pecans (paaah-kans). Too bad, Chris. 😦 Is it just pecans or all nuts? yummy! I have some homemade coffee liqueur that I’ve been wanting to use, other than cocktails! I must make these! I have everything at home. These would go good with my dulce de leche brownies I made last night. Just need to pick up some ice cream! Now you are making me hungry, Steph! 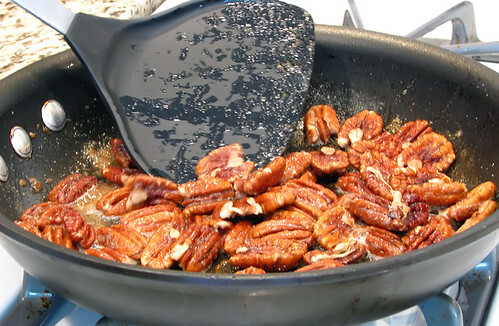 I love candied pecans…there’s so many uses for them as you mentioned. Adding kahlua is a great touch. Definitely will be making this. Thanks for sharing!